I received a PAII alert on August 30th, 2010 announcing that they were offering a $100 discount for the January Conference in Charleston if you register by August 31st, 2010. At the time of registration, please make sure to choose from one of our Pre-Conference sessions (AM class or PM class). Read below for more details! I also wanted to take a moment and thank everyone who responded to the survey I sent out a month ago asking for your thoughts and input on the Pre-Conference sessions. The replies were AWESOME, with so many great ideas and insights! We are working on bringing into play many of those ideas in 2010 at Nashua, and 2011 in Charleston. Again, THANK YOU to everyone who took the time to share this information with us. 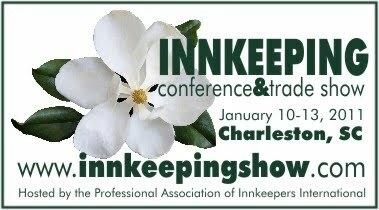 • Approximately 60%-75% of Innkeepers said they were planning to attend an upcoming PAII conference. • ¾ of Innkeepers indicated that $50 or less per person for Acorn IS Education and Dining was acceptable. • Innkeepers LOVE the 1-on-1 time we provide. They enjoy the time to meet and have a chance for a face to face discussion in a quiet location of a hospitality suite. 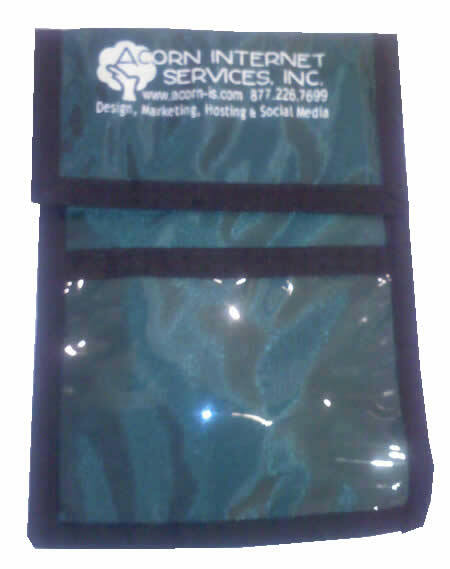 In Austin, we wanted to support PAII by sponsoring something at the conference, so we chose to sponsor the neck badges. 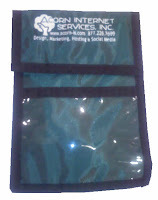 And just as any Innkeeper knows, putting your logo on something that others wear is totally Fun and Exciting! This year we’ve decided, based on the feedback from the survey, that we want to use our budget on the Pre-Conference session, and offer this educational Internet marketing class to all Innkeepers at NO ADDITIONAL CHARGE! Do you have an Internet Marketing Plan in place for increasing revenue today, next year and beyond? Whether you are a “Do it Yourselfer” (DIY) or choose to hire Industry Professionals to handle your Online Presence, as an Innkeeper and business owner you MUST be aware of all the available opportunities and challenges in today’s ever changing Online world. We will provide insight into all things that impact your Online Presence starting with a Revenue Generating, Search Engine Friendly Web Site Design, Video, Mobile, Local and Organic Presence, Link Building, Social and Press Media, Newsletters, Blogging, and we’ll wrap up with how to know if your Plan is working! You Will Have Two Times to Choose From! Another bit of feedback from our survey shared that NOT all Innkeepers are able to get to the conference by the morning of the Pre-Conference day. And then some Innkeepers indicated that any conference is also a chance for them to get a much needed break and getaway, so they’d like to have the afternoon open on the Pre-Conference day to do some sight-seeing! So we decided to hold the Acorn-IS Pre-Conference session two times. One session in the morning and a repeat session in the afternoon, allowing you to plan your first day at the conference how you prefer! We look forward to seeing you at the conference. And if you find yourself simply unable to attend in person this year, we are discussing the possibility of a virtual offering for those Innkeepers who just can’t travel. It will be a first for an Acorn-IS session at a PAII conference! Finally, we are working on some additional FUN and EXCITING opportunities. As soon as we have more information, we’ll pass it along! Stay tuned!